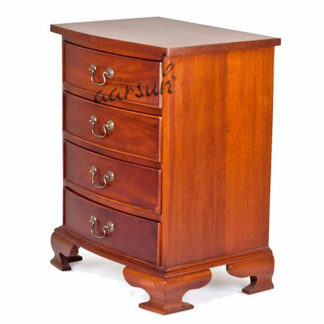 Aarsun Woods brings to you handcrafted wooden bedside table made from premium quality teak wood with smooth finish. The bed side table / end table / utility table consists of 4 full length pull drawers for all your essentials. 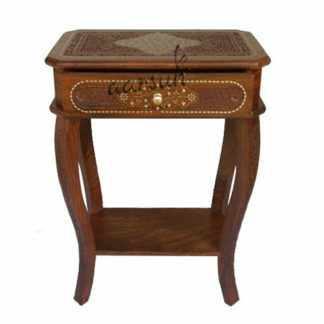 Add a touch of elegance and style to your bed room by premium range of traditionally handmade bedside tables and other wooden furniture and handicrafts offered by Aarsun Woods. 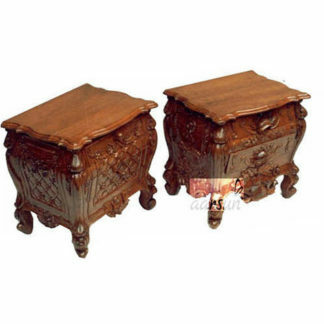 As we are the manufacturers, the bedside table can be customized as per your requirement.